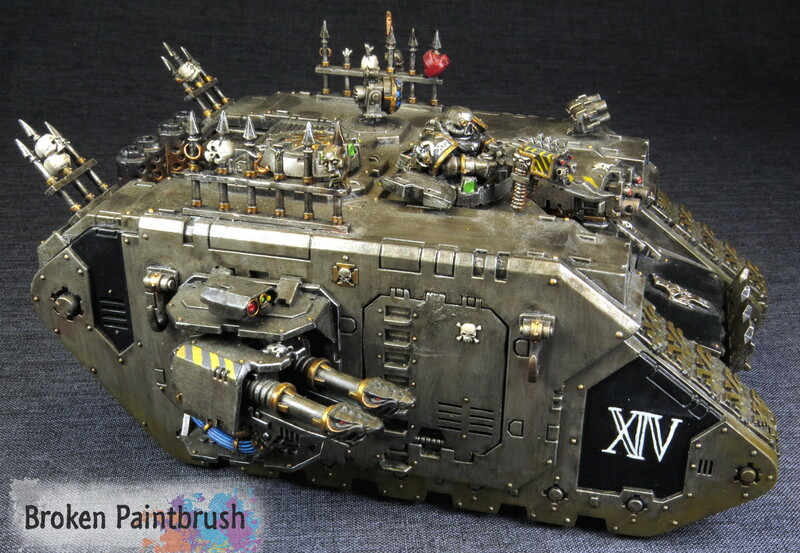 For today’s showcase, I present my Iron Warriors Land Raider. A classic for any powered armored army, the Land Raider is beast of a tank considering its age in comparison to many of the other amazing Games Workshop kits. I finished this model over six years ago now but wanted to post updated pictures since I have improved my photography skills over the years. Considering the number of engagements this guy has gone through, he is in remarkable shape with only a couple of the spikey bits breaking off. Its also fun to look back on some of our older models and see where we have improved, but also where we may have lost some things. For example, the weathering on the tracks is a mess compared to some of my recent models, but the hazard stripes on the lascannons are in a place I would be timid about placing now. 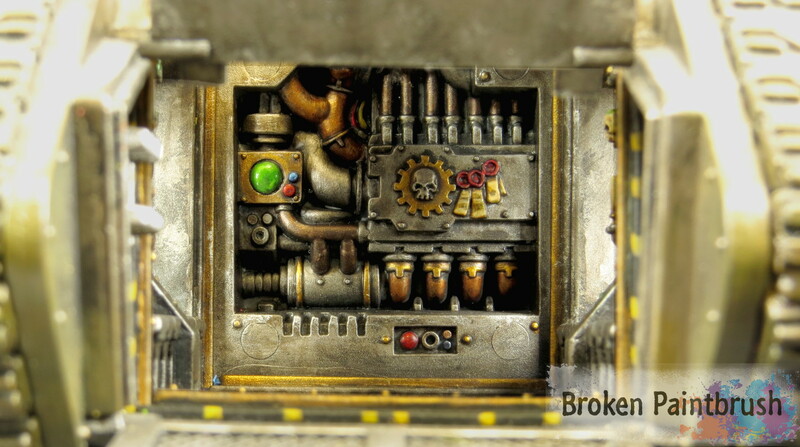 This was also the time that I actually painted in the inside of the tanks – for what ever reason. 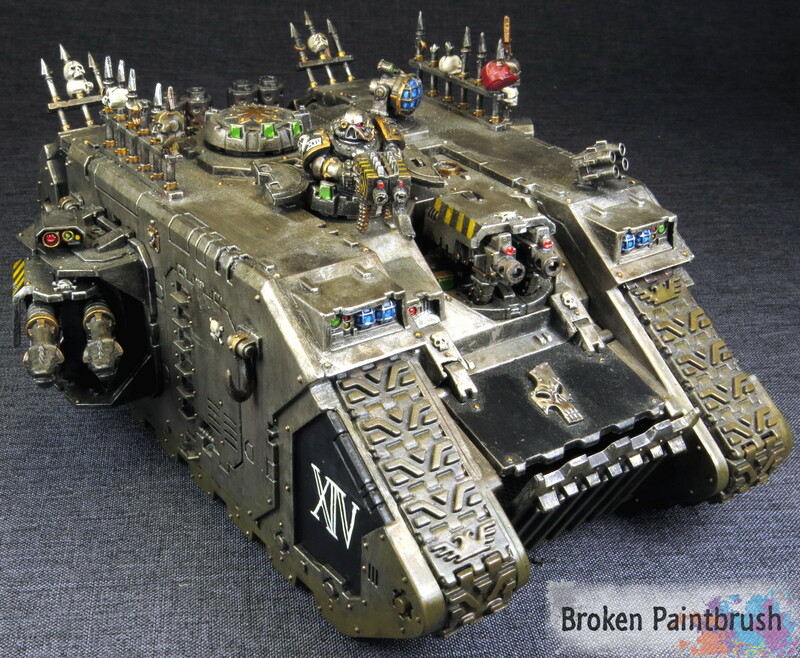 To achieve this I didn’t glue to top of the Land Raider on until everything was nearly done. What a pain! While it is cool to have the interior details, personally I don’t open the doors often enough to even think about them and don’t find it is worth the headache. 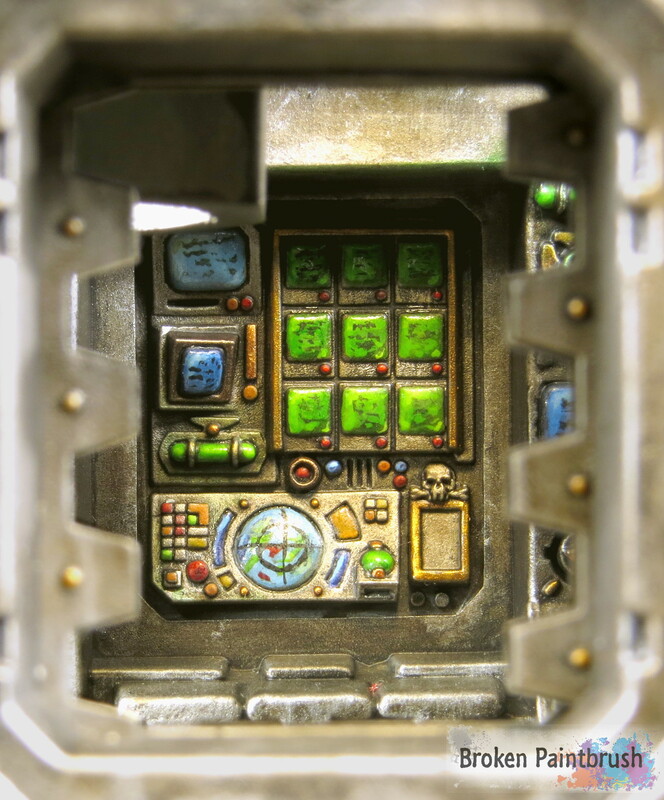 The grid of screens is a neat bit though and I have seen it used for many other cool kit bashes. 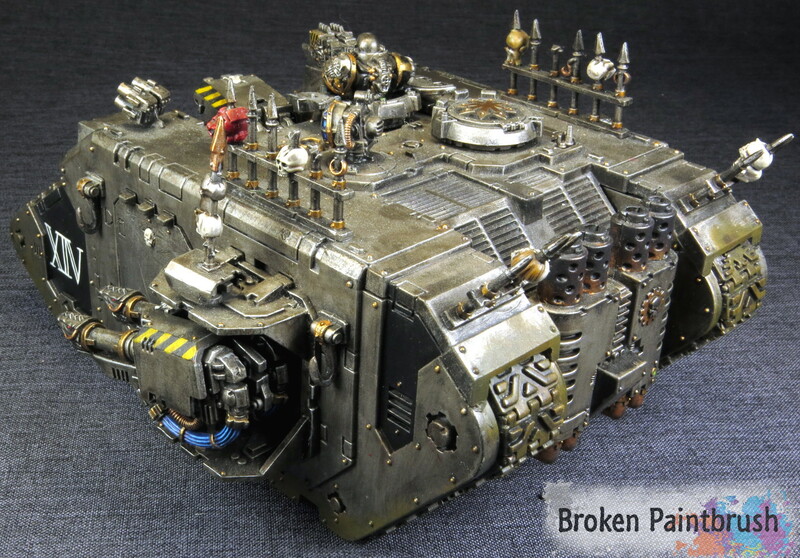 I do think Games Workshop was somewhat lame for through a spikey bit sprue into the box and calling it a Chaos kit so I hope at some point when they revamp the line they create an actual CSM version with all sorts of cool details, but then again they may go the Helbrute route and make it more flesh than metal and call it something crazy like DeathCrazyCan or some such.